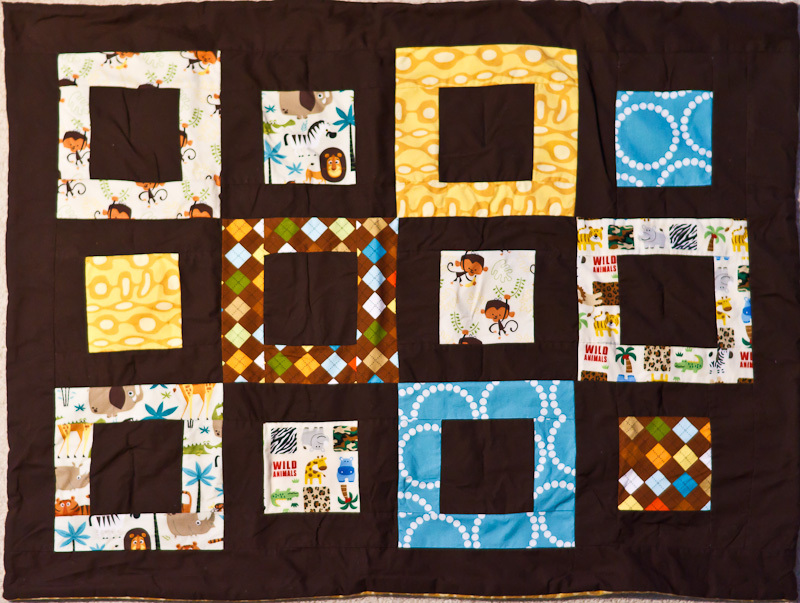 Other posts on this project: Jungle Quilt Pt. 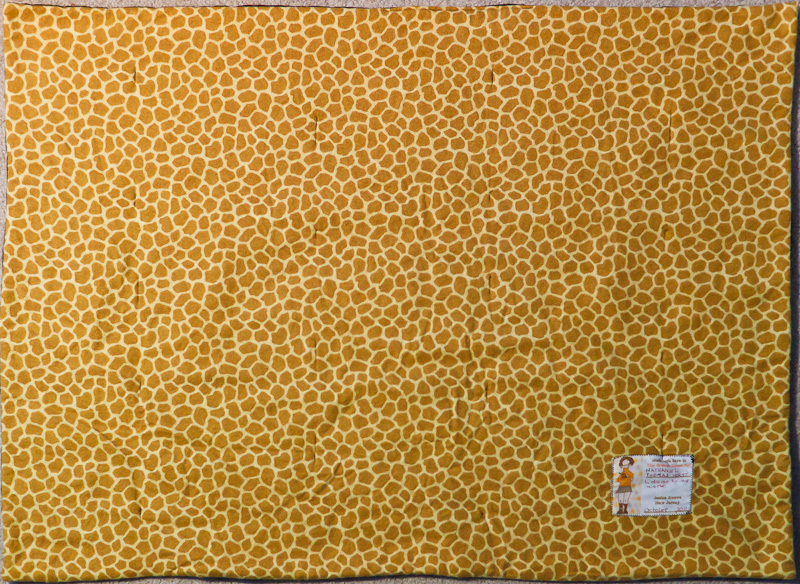 1, Jungle Quilt Pt. 2, Jungle Quilt Pt. 3. I can’t believe how long it’s taken me to finish this simple stroller blanket, but there you go. Three months is apparently my average these days. 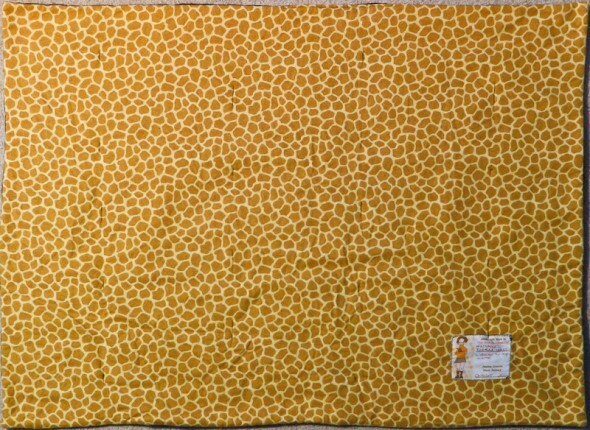 And I really love this giraffe print flannel I found at JoAnn for the back. I wasn’t sure about using a JoAnn flannel, but it was too perfect to pass up. In the end, I decided not to add a border to this quilt. 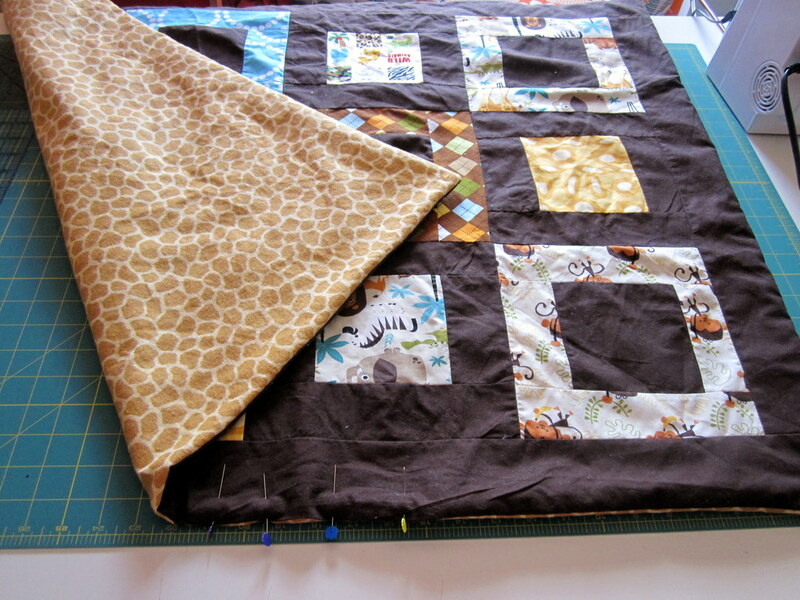 So I sewed it together like most of the other baby quilts I’ve made, stitching it closed at the end. Then I did simple straight stitch lines in various places to quilt it together. Simple, cotton batting in the middle. I think it came out really well. Now I just have to decide if I ship this off to its intended newborn (arrived last month! ), or do I save it for Christmas?